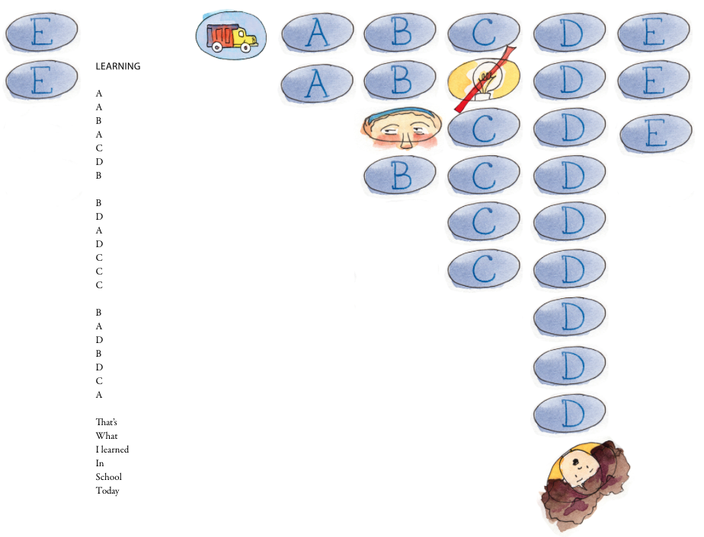 Copies of 'Tested Out,' West Philly teacher Jesse Gottschalk's book of poetry that satirizes standardized testing. 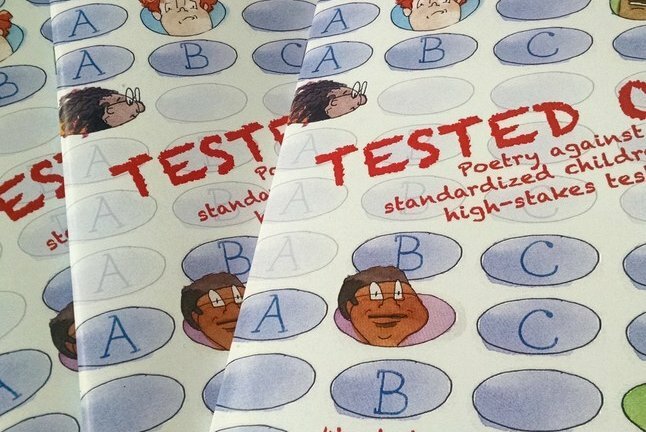 So writes a flustered Jesse Gottschalk in his new book, Tested Out: Poems against High-Stakes Testing and Standardized Children. A teacher at Henry C. Lea Elementary School in West Philadelphia, Gottschalk started writing poetry about standardized testing two years ago while preparing fourth graders for the PSSAs, Pennsylvania's statewide test administered to students in grades 3-8, which students began taking this week. As evidenced by his poetry, Gottschalk gives the experience of standardized testing — both for teachers and students — a failing grade. Gottschalk says he got frustrated with the "extreme mandates around testing conditions" and began writing the poetry as a form of “passive-aggressive resistance.” He claims that preparing his kids for the PSSAs took up 20 hours of his classroom time in April through May of last year. The more time Gottschalk took wading through PSSA prep, the more satirical poetry he penned, compiling it all on a blog. After some encouragement, he raised $2,000 online and hired illustrator Anna Fox Ryan to put the poems into a book. Published in December, Tested Out features 21 of Gottschalk's poems and is available for $10, plus shipping, or for $5 as an eBook. 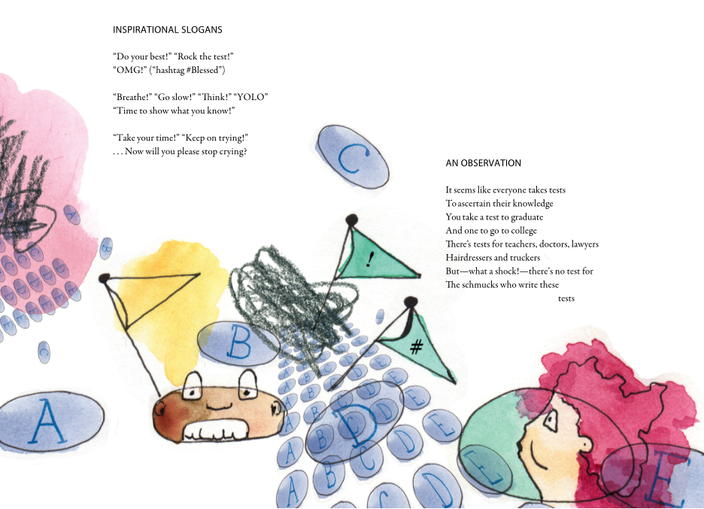 A poem in 'Tested Out,' illustrated by Anna Fox Ryan. Gottschalk hopes his book helps show that standardized testing has become more than just a way to assess student performance. Poems in 'Tested Out,' with illustrations by Anna Fox Ryan. You can buy the book here, and you can read some of Gottschalk's poetry here.